38829L Size: Large Features: -Gender: Female.-For children. The Arwen costume includes a white robe with gold inset, silver trim and bell sleeves. The Arwen comes in child sizes Small, Large, Medium. This Arwen is an officially licensed Lord of the Rings costume. Lord of the Rings Evenstar necklace is available separately from this Arwen costume for kids. Please note: This item's color may vary due to inherent manufacturing variations or your computer monitor's color settings. The item you receive will be identical or substantially similar to the item pictured in this listing. 38829S Size: Small Features: -Gender: Female.-For children. 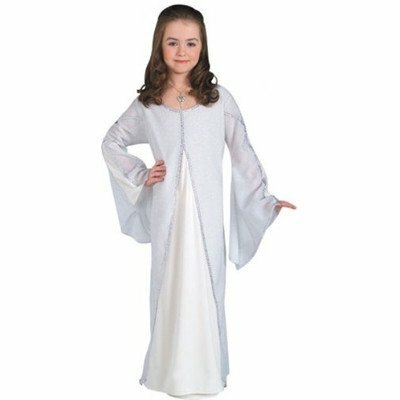 Licensed Lord of the Rings Arwen Costume Includes: White Arwen dress. Comes in three child sizes. Also available, Arwen wig and Arwen necklace. Frodo had to leave the Shire and journey across Middle-earth to destroy the One Ring and now your child can go on adventures dressed like him. Look for other Lord of the Rings costumes and accessories from Rubie's. As the world's leader we take seriously the mission to make dressing up fun. Rubie's Costume Company has been bringing costumes and accessories to the world since 1950. Rubie's Costume Company has been bringing costumes and accessories to the world since 1950. As the world's leader we take seriously the mission to make dressing up fun. Mascots, rental quality costumes, masks, wigs, accessories, shoes and every significant licensed costume you want to wear can be found under the Rubie's brand. Still family owned, still family focused; Rubie's brings you fun for every season, Halloween, Christmas, Mardi Gras, Easter and all in-between. 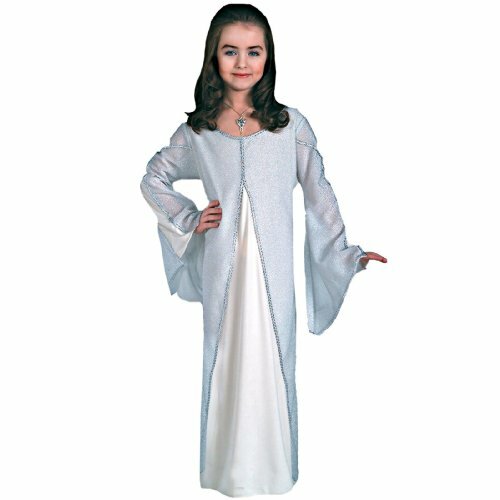 The Arwen costume includes a white robe with gold inset, silver trim and bell sleeves. Our Arwen comes in child sizes Small, Large, Medium. This Arwen is an officially licensed Lord of the Rings costume. 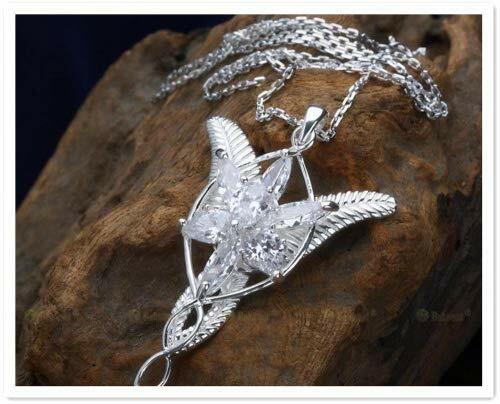 Lord of the Rings Evenstar necklace is available separately from this Arwen costume for kids. We are trying our best to provide you best products and service. 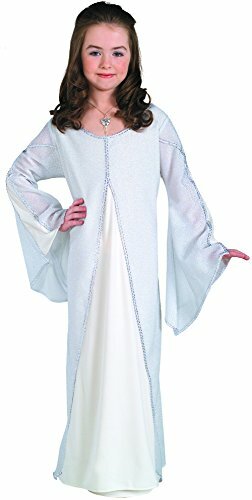 Lord of the Rings Kids Arwen Costume, Med, Age 5 - 7, HEIGHT 4’ 2” - 4’ 6"